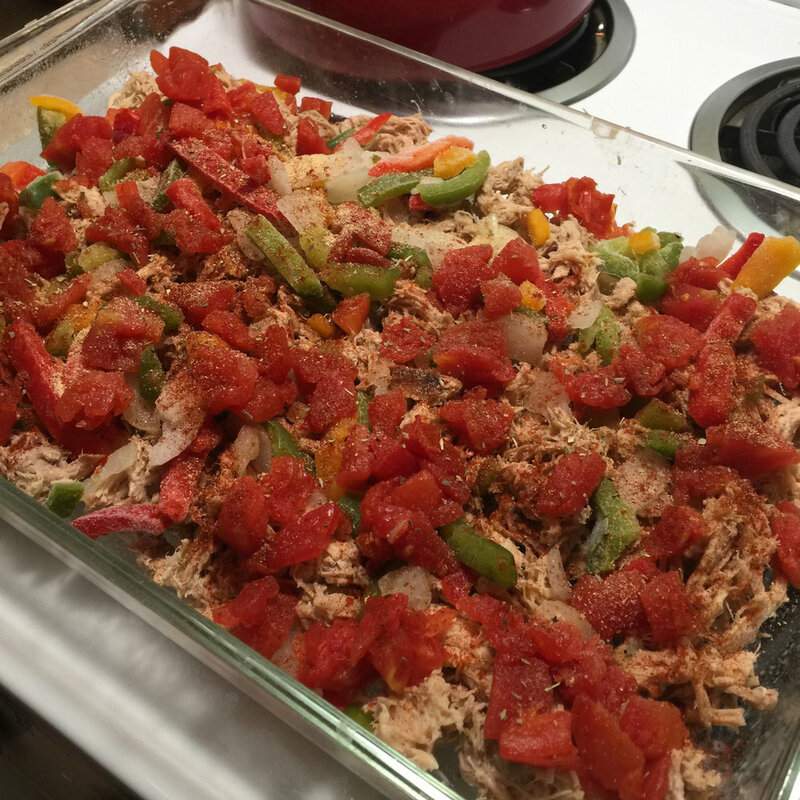 Why do I love casseroles? Because they are easy to make, provide left overs or feed a crowd! Also, they smell delicious, are warm, filling and easy to pair with a side of veggies or a salad for a delicious meal on a cold winter evening. This casserole came to life on Sunday afternoon when we had been gone all weekend, but needed a small dinner and leftovers to start our week. I created it from ingredients I knew I already had in my kitchen. Maybe I should have called it Kitchen Sink Casserole? The first time I made it, it was a THM-S dish, because I didn’t rinse my meat. Knowing I cook way to many THM-S dishes I wanted to find a way to turn it into a THM-E meal. Below is the revised recipe. Don’t forget to rinse ground beef (if you use it) really well under hot water before putting it in the casserole. This removes all that excess fat and grease. 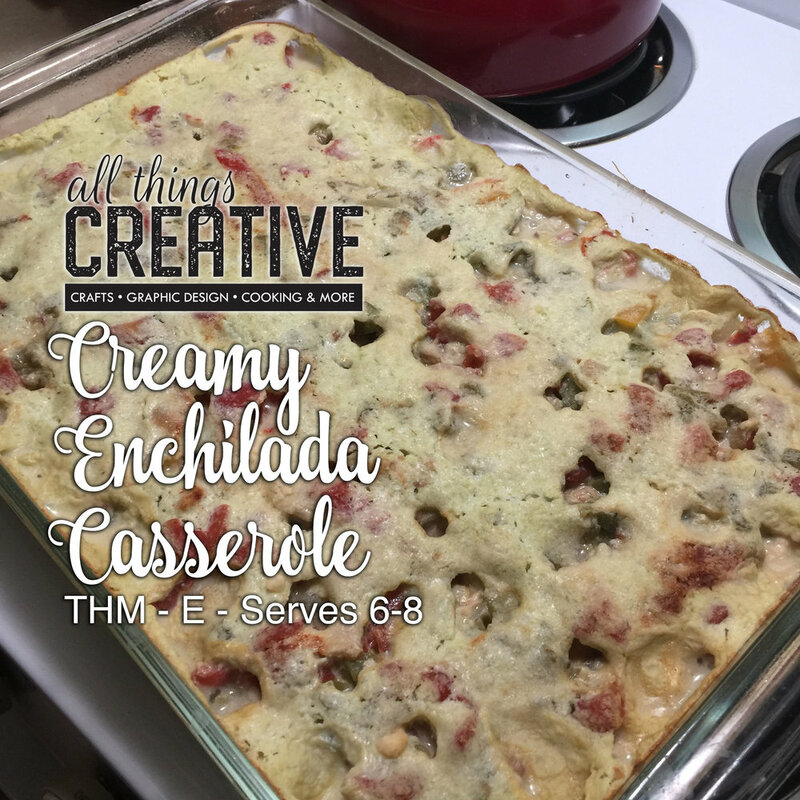 This is a super simple casserole to put together and if you are following THM and have made any of the cheesy casseroles in their cookbooks you might just have all of these ingredients on hand! Yes, this does contain the secret ingredient okra, you can leave it out if you wish, but it thickens the sauce up nicely and adds some good nutritional value to the dish. I hope you enjoy this recipe! Brown ground beef in frying pan, then rinse under hot water, add back to frying pan and cook with 1/2 cup salsa, pinto beans and 1 cup frozen seasoning blend. Spread meat mixture in the bottom of baking dish. Top with all but 2 tablespoons of salsa. Layer with cooked brown rice, then sprinkle with garlic powder, onion powder and salt to taste. 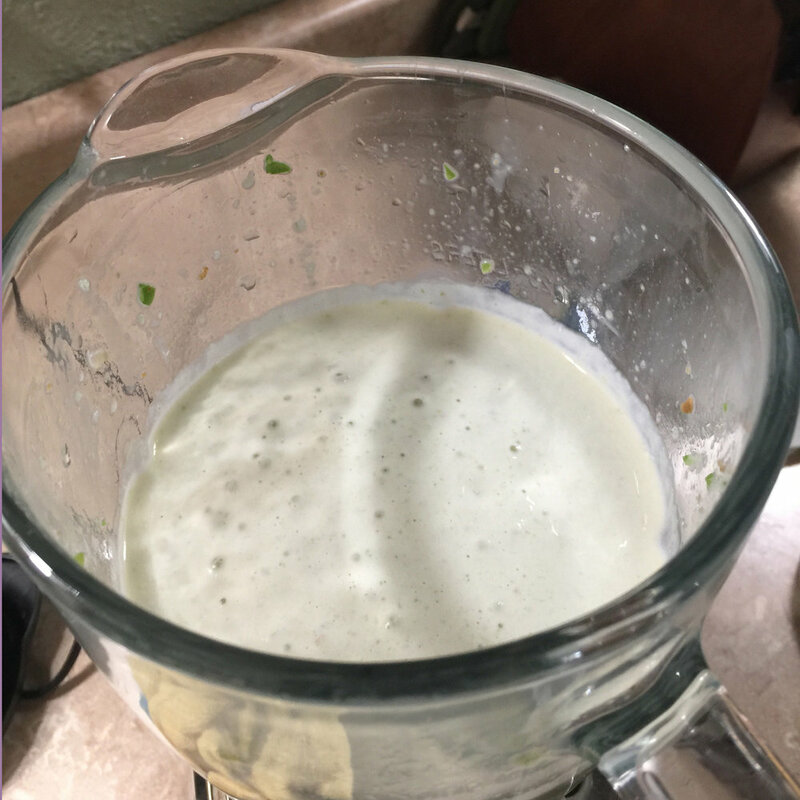 In blender: almond milk, veggie broth and okra, blend until there are no green bits of okra showing. Add 4 oz. cream cheese, 6 wedges laughing cow cheese and 2 table spoons salsa, blend well. Pour over contents in the baking dish, top with shredded cheddar. Bake for 25 - 30 minutes until heated through and bubbly. Serve with a side green salad or steamed veggies.